Pour into 13 x 9 pan. Can cut parchment paper to cover the bottom to remove easily. Alternately, you can lightly spray pan with cooking spray. Bake in oven for 35 minutes at 350°. It is perfect when a toothpick inserted into the center comes out clean. Put yeast in mixing bowl and add all other ingredients, adding hot water last. Mix/Knead only adding enough flour to make a very soft, but not sticky dough. Place back in bowl and let rise for 45 minutes in a warm place. Remove dough and shape into rolls or a loaf and place on a baking sheet/baking dish lined with parchment paper dusted with cornmeal, cover and put in a warm place to rise for 45 minutes. Heat oven to 400 degrees. Bake rolls 16-18 minutes (depending on size) or until nicely browned. Dissolve yeast and syrup in 1/2 cup of the lukewarm water and let sit for 10 minutes to proof. Place the minced onions in another 1/2 cup of lukewarm water until ready to use. After 10 minutes, add the remaining water, rehydrated onions in water, applesauce and salt and mix well. 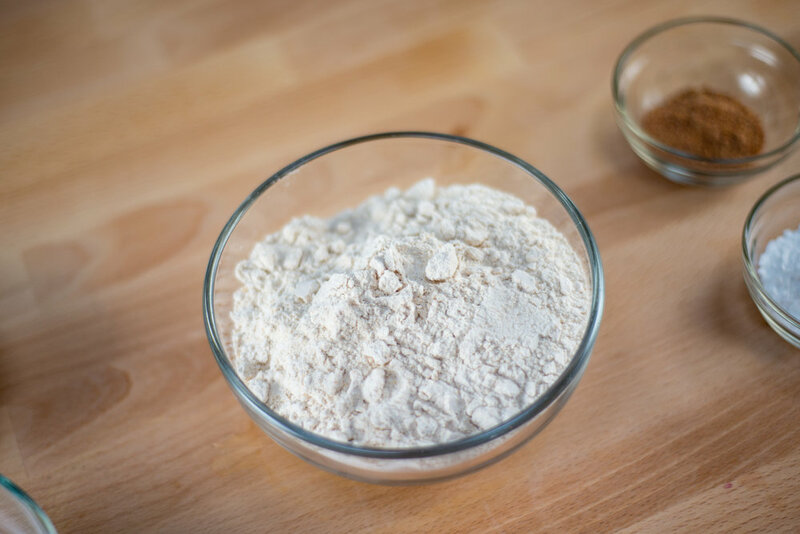 Stir in the whole wheat flour one cup at a time; fold in 2 cups of the white whole wheat flour then add just enough flour gradually as you are mixing (or kneading by hand) until the dough is smooth and elastic and no longer sticky. Shape into a ball, place in a bowl, cover with a cloth and let rise until doubled in bulk, approximately 60-90 minutes. 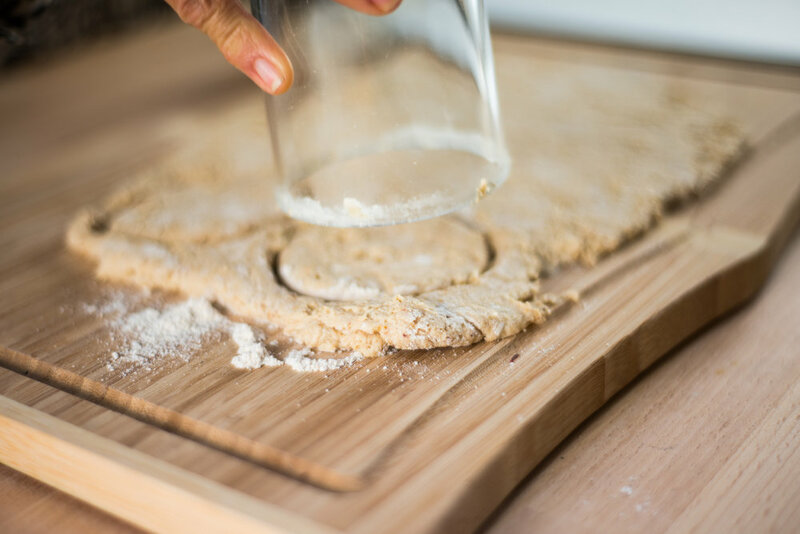 Punch down dough and turn it out onto a floured surface. Knead 3-4 times, then divide into 8-10 equal pieces. Shape each piece into a ball and let rest for 10 minutes. Starting with the first ball you shaped, flatten each ball with a rolling pin to about 1/8 in thick. Preheat oven to 500° and if using baking stones- place the stones in the oven during the preheat as well. If using metal baking sheets, spray with a bit of cooking spray and dust with cornmeal then place the flattened pitas on the sheet. Let rest until oven is heated. Place filled baking sheets on the middle rack of the oven and bake for 5 minutes without opening. Remove from oven if they are beginning to brown, but if they still smell a bit yeasty - leave for another 2-3 minutes. Cool on racks, then fill with your favorite sandwich fillings or cut into wedges, season, bake and serve with Hummus. To store wrap well. Keep at room temperature if they will be eaten soon, or refrigerate/freeze. Mix flour, yeast and salt with warm water. Add maple syrup, orange juice and applesauce and stir. Add mixture to flour. Mix well. Knead dough in a bowl for about 5 minutes until it is an elastic texture, but not sticky. Place in a large non-stick bowl, cover and place in the oven with the light on for approx. 45 minutes. Should double in size. Punch dough down, then place onto a lightly floured surface. Knead a turn just a few times. Form into a loaf shape and place in a sprayed 9x5 pan. Cover with plastic wrap, place in completely cool oven and let rise 30-45 minutes. Take dough out and preheat oven to 375°F. Remove plastic wrap and bake for 25-30 mins.